The economic analyses carried out so far have delivered wildly differing results. The most recent report says bills will fall if the target is scrapped, while others say the exact opposite. The latest analysis, commissioned by peak business groups and carried out by Deloitte Access Economics, was released last week. This work adds to the growing list of attempts to model the effect of the Renewable Energy Target (RET) on electricity prices. We have now seen reports commissioned by the Climate Change Authority, the Clean Energy Council and the Australian Energy Market Commission, as well as analyses by Bloomberg New Energy Finance and IES Advisory Services. The Climate Change Authority is also set to deliver another review later this year — assuming it still exists by then. Another recent modelling effort is the ACIL Allen report, carried out on behalf of the RET review panel itself. Perhaps inevitably, these reviews have reached different conclusions — mostly because they started with different assumptions. The differences are particularly stark between the two most recent reports, so let’s focus on those. 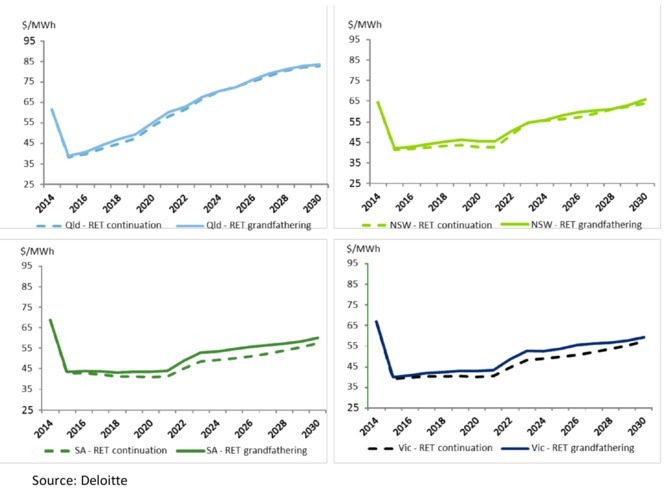 The ACIL Allen modelling concludes that electricity prices will be lower if the RET is left unchanged, while the Deloitte work concludes that they will be higher. 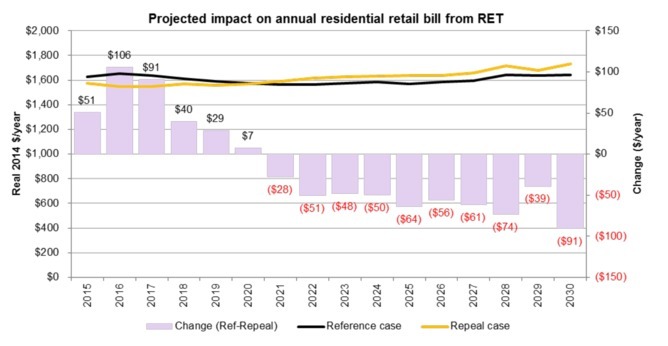 Deloitte says that scrapping the RET completely would save between A$47 and A$65 dollars per year per household. But ACIL Allen says the target will cut power bills from 2021 onwards, by up to A$91 per year by 2030. While the A$156 gap between these two forecasts may not amount to much by 2030, they clearly can’t both be right. The two models differ in their assumptions of the costs of installing renewable energy. 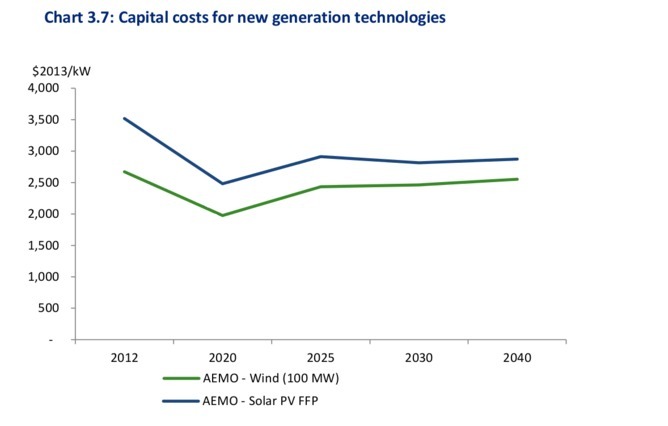 ACIL Allen uses a figure based on the Bureau of Resources and Energy Economics’ Australian Energy Technology Assessment. In 2012 AEMO engaged WorleyParsons to develop technology availability and cost data, based on the Guidance of the scenario drivers outlined in Table 1. The same data will be used in 2013. The cost data from WorleyParsons was actually delivered to AEMO in July 2012, making it just over two years old. And further to that the Worley report used a 2010 “cost range midpoint”, though modified that with a “recent experience” to come up with a 2012 cost of $3.38 per watt. 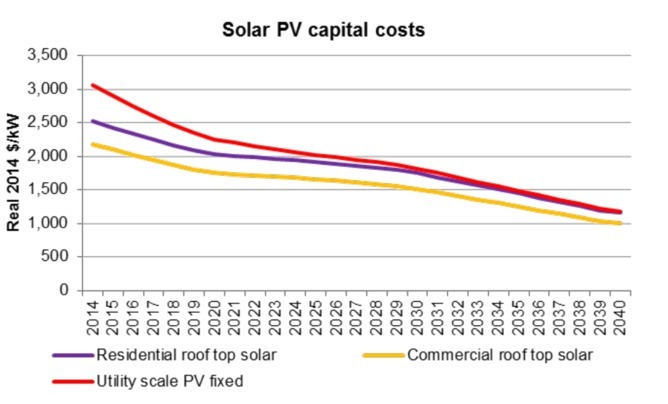 Anyone who follows the changing cost of solar power will know that two years is a long time. 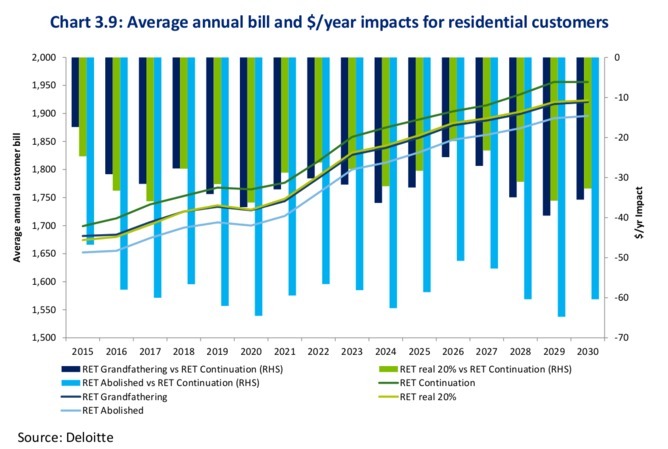 Based on a price check for July 2014, the average unsubsidised price (for 100 kilowatt systems) is between A$2130 and A$2260 per kilowatt – well below the current and long-term projections in the Deloitte study. Similarly, the Deloitte analysis assumes that wind power costs A$2500 per kilowatt to build and, barring a few wobbles, will stay at that price. 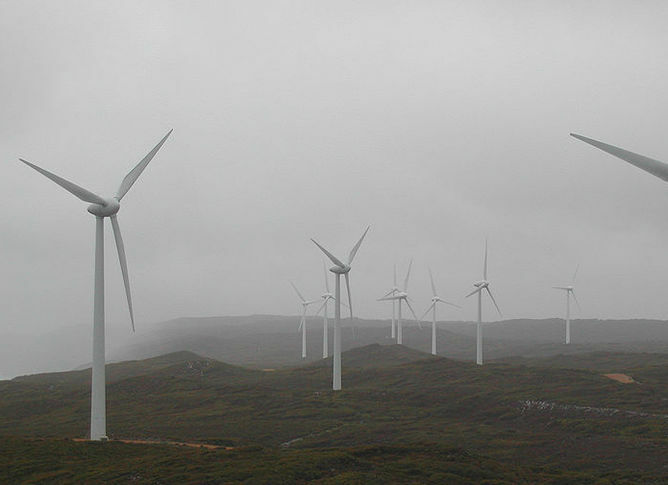 Yet the recently completed Snowtown wind farm reportedly cost around A$1700 per kilowatt. The other important consideration with regard to household bills is the Renewable Energy Target’s effect on the wholesale electricity market (also known as the merit order effect). Put simply, the target supports the introduction of additional power into the market, and like any other market this extra supply should depress prices. ACIL Allen predicts that this effect will be much stronger than the Deloitte analysis does. Deloitte’s assumptions here are less clear than the ACIL Allen’s, so it is hard to assess the difference. Deloitte’s model suggests that lower gas prices (an important factor in the short term) could explain the discrepancy. 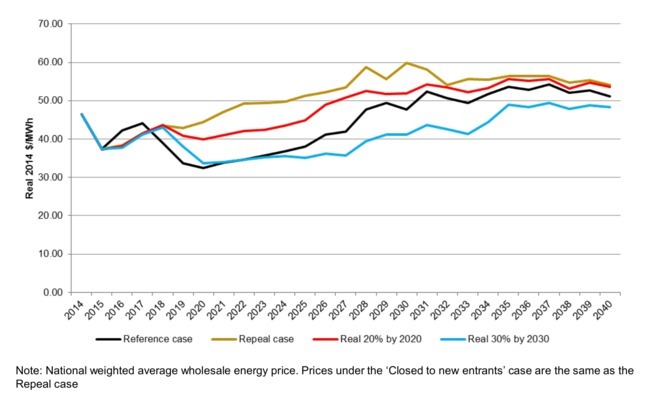 Unfortunately it is not clear what Deloitte’s gas price projections are, or why they are lower. Compared with the ACIL Allen study, Deloitte says renewable energy is more expensive and exerts less downward pressure on wholesale prices. If it’s true that solar power costs A$3500 a kilowatt to build while wind costs A$2500 a kilowatt; that adding 7500 megawatts of wind and 10,000 megawatts of solar power by 2030 will not markedly affect wholesale prices; and that gas prices will stay low, then perhaps Deloitte is correct. If however, the technology turns out to cost less than this and the wholesale market is more competitive, the ACIL Allen analysis seems more realistic. It is important to note that we have not included an assessment of the environmental costs and benefits of adjusting or abolishing the RET. We also have not modelled potential benefits of developing local expertise within renewable energy. Including an assessment of these elements would be likely to influence the broader costs and benefits of the RET. That seems a reasonable price to cut roughly 25 million tonnes of carbon dioxide emissions per year by 2020 – the lion’s share of Australia’s greenhouse reduction pledge. I posted this on a previous post but it is very applicable here and clearly demonstrates how electricity prices will be increased by having more renewable energy in the system.